﻿Choose your tank and join the battlefield, and experience devastation unmatched by any other WarCraft III map. Mass Destruction is a arcade-styled action-game for up to 6 players clashing together in an epic﻿ battle containing a wide range of weapons, power-ups and battlefields. The tanks are controlled and moved around using the arrow keys and keyboard hotkeys. 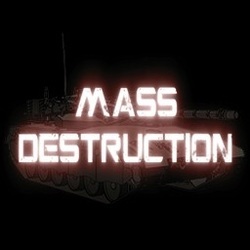 Mass Destruction currently supports the following game modes: Deathmatch, Team Deathmatch, Destruction, Annihilation, Juggernaut and Capture the Flag. • The map is protected to optimize filesize. • Fast-paced, action-packed gameplay with up to 6 available players. 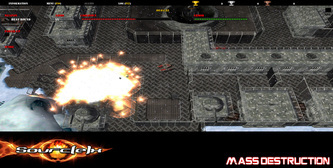 • Loads of weapons and power-ups. 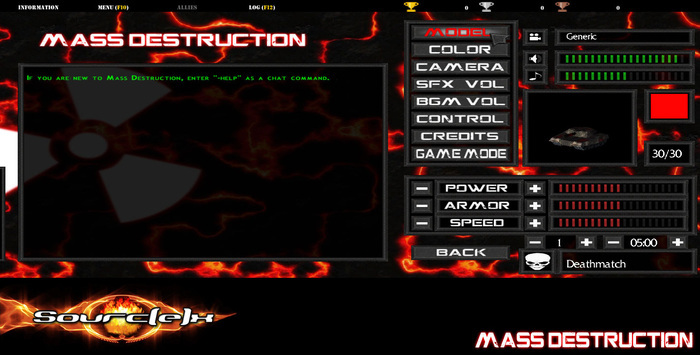 • Fully functional GUI (Graphical User Interface) for in-game menus. • Customizeable player profile, tank model/color, tank attributes and camera settings. 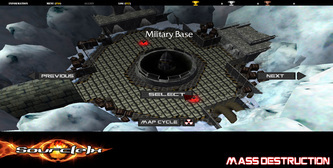 • Ranking/leveling system with unlockable tank models. These are just the default hotkeys. • Fixed a bug with the admin kick command. • Edited the game mode descriptions. "-Clear"; Clears the current game for dynamic effects (entities). "-ToggleEntities"; Enables/disables spawning of dynamic effects (entities). • The Armor Bonus and Invincibility power-ups can no longer be used by the Juggernaut. • Fixed up the help command a bit. • Added a quick how-to in the loading screen. • Fixed a bug with the chatbox text colors. 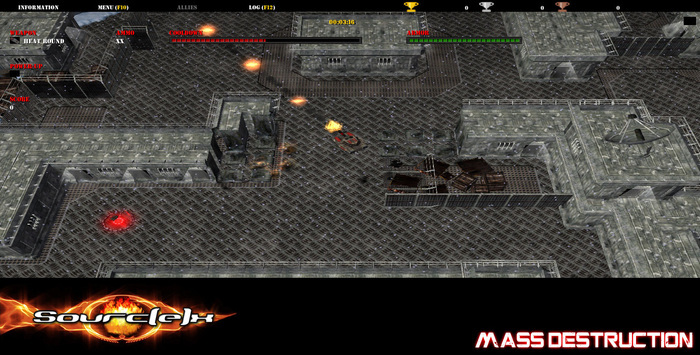 • A fire effect will now display when a tank is below 25% HP. • A new level has been added. • Added a new admin command: "-QuitGame" or "-Quit"; Immediatly quits the current game and returns everyone to the game lobby. • Switched to a more readable font type. • Fixed some minor code bugs. • Fixed a bug with the tank armor not getting restored between rounds. • Invincibility time has been reduced. • Concussion Beam range and damage has been decreased. • Added a option to enable map cycling. • Added 'Random' as a game mode. • Fixed a bug which would allow a player to keep a unused power-up between rounds. • Added a maximum turnrate cap. • Added a new admin command: "-NoLevelBonus"; Disables level attribute bonuses. • Fixed a minor bug with the attribute point counter. • Fixed the "Best of round" award again. Hopefully it'll work correctly from now on. • The entity system has been rewritten. • Added a little "-help" command. • Due to a lot of complaints and instability, the host detection is no more. The "Game Administrator" status goes to the first valid player in the playerlist. • Machine Gun and Gatling Laser can no longer cause players to suicide. • Every seventh level will now reward a new attribute point. • Some minor fixes and adjustments. • Fixed a major bug in the team manager. • Fixed a bug related to the option menu which could cause a player to permanently lose user control. • Fixed a bug with the texttags in the control option panel. • Fixed a bug with the team manager. • Added a option to modify gamemode round time. • Fixed a bug with the option scrolling and game start colliding. • Host detection should be more stable now. • Added a "-VoteHost" command available to all players. • Added a option to modify gamemode rounds. • The player death message box has finally been fixed. • Fixed the HEAT's name. • 6 new tank models added. • Completed the user interface. • Fixed some old game interface settings. • Added a new huge level. • New flamethrower power-up model. 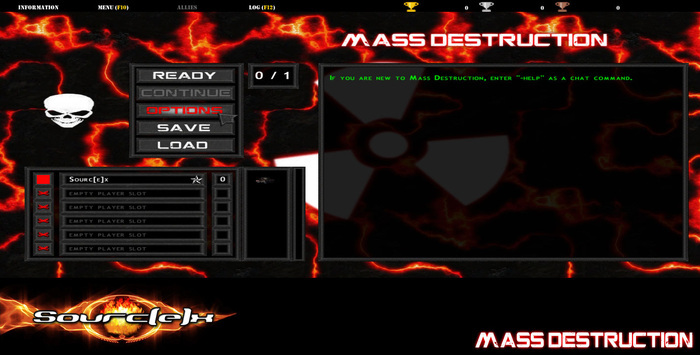 • Mass Destruction is now preloading a lot of units and abilities at startup to prevent some "first time" lag. This also makes the loading slightly longer. • Decreased the hit-points of most environment objects. • Dynamic effects and level objects storage switched to hashtable. • Fixed a bug with the annihilation end conditions. • Changed map preview image. • Fixed a animation bug with some of the tank model previews. • Fixed loads of minor bugs. • Concussion Beam sound effect added. • The game timer will now no longer be displayed in modes which doesn`t use it. 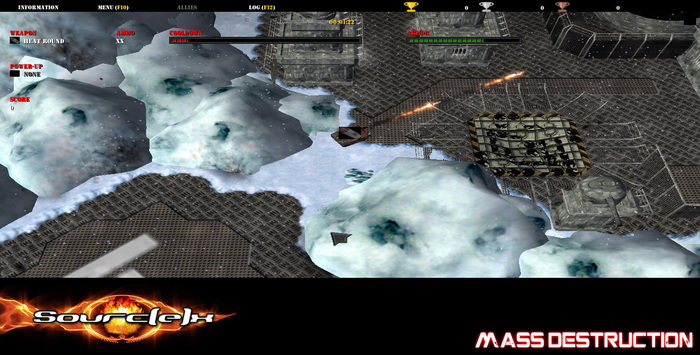 • To make things a bit more interesting, you`re now rewarded a second for killing a player in Annihilation mode. • The final scorescreen has returned to its previous state. • Added a new gamemode: Capture the Flag. • Added more radio commands. • Added radio chat sound effects. • Fixed a bug with the gameplay UI displaying in the main menu. • A new tank model has been added. • Fixed a bug with the status bar (gameplay interface) not showing up when a dialog was active. • Added a spectator mode. • Respawn method has been improved. 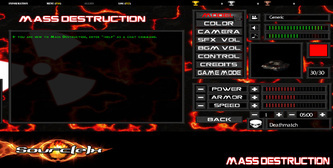 • Added two new gamemodes: Annihilation and Juggernaut. • Fixed a bug with the EMP cooldown timers. • Fixed a bug with the new scoretable not giving correct rewards. • New weapon added: Mortar Launcher. • Fixed a little graphic glitch with tank models remaining on the level after the game has ended. • The scoretable now displays empty (0) scores. • Updated the chatbox text system. • The game lobby`s texttags has been replaced with the new text system. • The "Best of round" award should now be working correctly. • Added game mode descriptions. • Added a new Host Command: "-kick" ; Opens up a dialog with a list of players to kick from the game. • Fixed a bug with the radio dialog. • Added a dialog holding the Host Commands. • Camera damage shaking issue fixed. • New Game Mode added: Team Deathmatch. • All weapon icons added. • Level name is now displayed to all players. • A little scorescreen bug has been fixed. • Weapon code has been better organized. • Weapon power-up priorities has been changed. • Fixed a major issue with the deathmatch score counter. • When browsing between weapons, weapon icons will now display above your tank. • New weapon power-up models added. • Fixed a bug with the tank portals. • Handle data attachment method switched from '[H2I-offset]' to a safer hashtable method. The reason being handle ids exceeding the array sizes. • The scoretable code has been completely rewritten to support team matches. • Fixed a bug with the Invincibility timer. • Anti-tank missile damage reduced by 33%. • A lame flamethrower ammunition bug has been fixed. • Added a new tiny test level. • Major pathing cleanup of 'Circle of Destruction'. • Map is now in beta state. • First actual level is under construction. 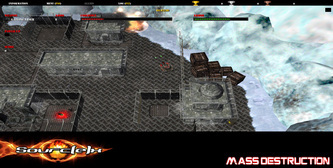 • Four new unlockable tank models has been added. • New power-ups added: Hyper Cooler, Double Power and Double Armor. 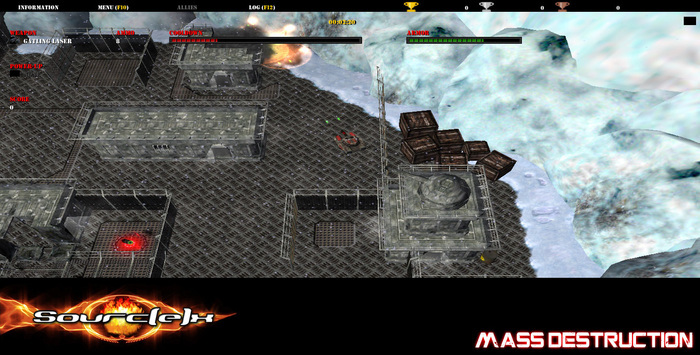 • Leveling up dialog now notifies players about tank model unlocks. • Fixed a bug with the leveling up dialog message. • Players can no longer level up in singleplayer games. • Level-creation code is now better organized and easier to maintain. • Host command added: "-skipscore" or "-skip" ; Quickly skip the scorescreen. • A special effect has been added to the jump ability. • Tank preview models should now display correctly on all platforms. • Tank armor has been increased by 50%. • Screen will now shake when the player is taking damage. • The chatbox texttags has been replaced with a new text system. • New weapon included: Flamethrower. • Host command added: "-forceready" ; Forces all players into a 'ready' status to immediately start the game. • Numerous minor code changes and bug fixes.